PC Games Vs. Gaming Console. Which One Is Better? How To Entertain Ourselves By Drawing Comics? For decades, gaming consoles have become an important part in the society. Companies like Sony, Microsoft and Nintendo have released their sophisticated console models. They are usable for single player experience, as well as multiplayer sessions with friends and strangers all over the world. Games are not available only for PC and since Atari released its amazing games in the 1980’s, there are many options available in the market. However, PC games and gaming consoles have their own advantages and drawbacks. There are multiple gaming console models in the market, but two market leaders are Microsoft and Sony. The former has released the Xbox 360, while the latter has provided us with the Playstation 4. Nintendo’s Wii series are also important participant in this industry, but it holds a much smaller market segment. These consoles have been able to integrate PC and consoles gaming, as players from both platforms are able to participate in multiplayer sessions. These consoles are very successful, but they have unique drawbacks. All components are sealed inside the consoles unit. It means if one component is damaged, it would be much more difficult to repair it. In many cases, one damaged component requires us to replace the entire console unit. This may cause us lose all important game data that we have accumulated for months or years. Gaming consoles are also non-upgradeable units. Once a console is outdated, there’s no way we will be able to upgrade it. The only solution is to purchase a completely new console unit. Gaming console is also a dedicated unit. It means we will be able to do only one thing that is to play games. Some consoles are able to play music and videos, but few people would do that. It is also not possible to transfer games. It means, we can’t play Xbox games on a Playstation unit. Obviously, this also applies in PC, because we can’t install Windows-based games to a Mac. Personal computers are highly versatile devices and they allow us to do so many things with them. 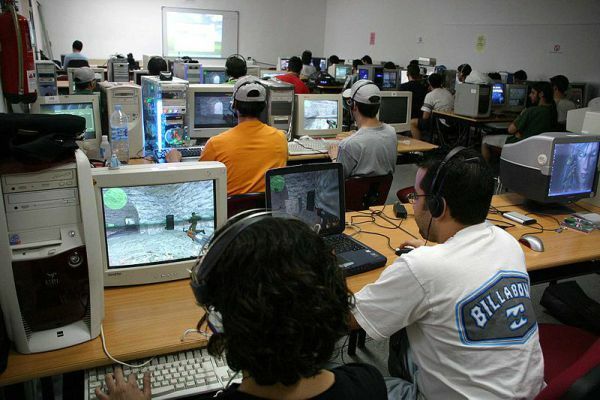 Playing games are one of them and PCs are well-suited for this kind of activity. Compared to gaming consoles, there are more varieties of PC games. As an example, strategy games are more suited for PC, because these titles may require more buttons. PC games are easily downloaded in the Internet. Many of them are available for free and some older games are already in public domain. It is also possible to purchase latest games and download them into our PC. Computers also have more powerful hardware and it is easy to upgrade them. As an example, we could purchase a PC with mediocre graphics card as a start due to limited budget. However, after we save enough money, it is possible to purchase more powerful GPU and install it in our PC. This allows us to play hardware-intensive titles, with more detailed graphics.